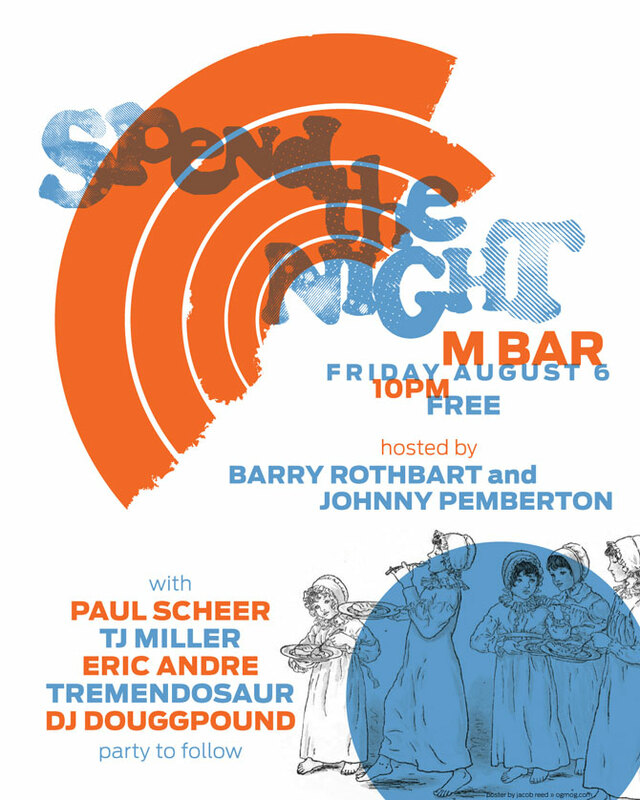 Comedy show at M Bar in Los Angeles hosted by Barry Rothbart and Johnny Pemberton. The inaugural show featured comedians Paul Scheer (Human Giant, FX’s The League), TJ Miller (She’s Out Of My League, Get Him to the Greek), Eric Andre (Curb Your Enthusiasm, Comedy Central’s Live at Gotham), Tremendosaur, and DJ Douggpound (Tim & Eric). To play with the theme of a sleep over we based the poster around an old illustration of several girls in nightgowns from an children’s alphabet book from the late 19th century.